The twentieth of every month is about to get a whole lot less interesting for readers of this blog. That's because instead of getting a dose of historian extraordinaire Ed Blum, you'll get to read words typed by a first-year doctoral candidate whose last name doubles as an old-timey derogatory term. If you're a regular reader, then you'll finally know how Chicago Bulls fans felt when Pete Myers replaced Michael Jordan in 1994. By way of introduction, I suppose I should mention my area of research (Gilded Age/Progressive Era religion in emerging American West urban settings), my school (Baylor), my favorite rap album (Mos Def's Black on Both Sides), my previous occupation (high school social studies teacher in Omaha, Nebraska), and my most annoying habit (using parenthesis way too much). 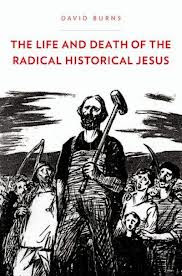 Now onto more interesting things, like David Burns' The Life and Death of the Radical Historical Jesus (Oxford, 2013). At the heart of Burns' work is a seeming paradox, an argument for what he calls the "radical middle path." This path was trod by "secular-minded religionists" of the late-19th and early-20th century who sought to find some way to balance the demands of reason and religion, and ultimately found their answer by infusing a secular worldview with religious imagination, or, as Burns puts it, "finding divinity in Jesus' humanity." 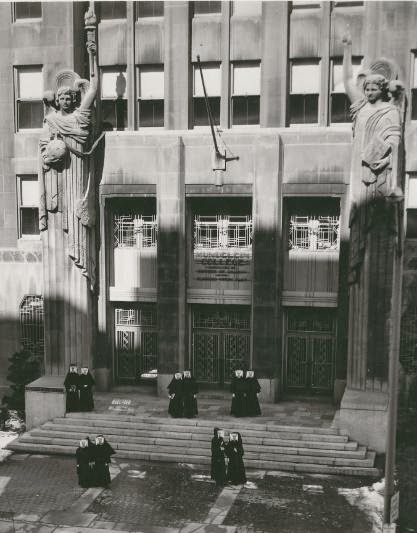 These freethinkers, socialists, and anarchists, Burns claims, have been overlooked by previous historians of religious history partly because the standard interpretation is that religious modernism was a movement controlled by the liberal professional theologians and academics embedded in elite universities and seminaries. Thus, radical modernists who were outside the stratosphere of the elites have been neglected. Burns believes that his book serves to correct the standard narrative. Of course, it takes three paths to make a middle path. For Burns, it seems that his radical middle only emerges when the right has been entirely cropped out of the picture. In other words, his is a middle path for those already oriented to the religious left, a path nestled somewhere in between the evangelical center-left and the scientific modernist left. Central to Burns' narrative stands the figure of Jesus, or at least the Jesus constructed by radical religionists like Robert Ingersoll, George Herron, Bouck White, and Eugene Debs. This radical historical Jesus was a blend of fact and fiction, a fossil excavated with the tools of biblical criticism and brought to life via the imagination of radical religionists who "secularized the sacred." As the title of the book suggests, Burns believes that the radical Jesus was a distinct American phenomenon. Although he notes that it was part of a larger tradition of challenging religious authority, he argues that the radical historical Jesus can be traced from its beginning in the 1860s to its ultimate end during World War I. If you'll allow me to vastly oversimplify and stretch a metaphor to the point of breaking, here's how I would summarize Burns' narrative argument: French scholar Ernest Renan's Life of Jesus (published in English in 1864) was the "radical historical Jesus" seed, and Robert Ingersoll's role was to till the soil and spread the seed around within his vast network of freethinkers, anarchists, and socialists. The seed was watered by George Herron and Cyrenus Osborn Ward on militant socialist soil, sprouting from their work as "a combative carpenter in a socialist account." From there, the radical historical Jesus flowered under Bouck White (whose 1911 The Call of the Carpenter was the "definitive radical rereading of Christ"), before taking its ripened form under the care of Eugene Debs (the "most powerful disciple of the radical historical Jesus during the Progressive Era"), only to be choked to death by the weeds of the World War I-era nationalistic "Prince of Preparedness." By the 1920s the corporate-capitalist Christ and the white-supremacist Christ were too prevalent in the popular consciousness to allow for any renewed growth of the radical Jesus. Furthermore, the secular-revolutionary mindset of the radical religionists was not able to hold sway over subsequent leftist Christs, including the social justice Christ or the black liberation Christ. Thus the radical historical Jesus continues to lie dormant, another of the many casualties of the Great War. Burns' decision to begin with and focus on Renan's Life of Jesus perhaps obscures the influences of other conceptions of Jesus that were already prominent in America by the 1860s. For example, in Prophetic Encounters: Religion and the American Radical Tradition (profiled here by Janine Giordano Drake) Dan McKanan credits George Lippard with introducing and advancing the working-class, carpenter-Jesus in antebellum America, and even traces the influence of Lippard's Jesus down to Eugene Debs. It seems that Burns differentiates his radical Jesus from other types by suggesting that the radical Jesus 1) emerged from modern biblical criticism, 2) possessed no traces of divinity, 3) was depicted in imaginative detail to fill in biographical gaps, 4) opposed institutions and organized Christianity, and 5) was interested in social revolution, especially anarchism or socialism. But did the individuals studied by Burns self-consciously believe that those traits constituted a unique radical Jesus? To what extent is this radical historical Jesus first constructed by Burns and then read back into the radical protagonists’ thoughts and words? Was there really a distinct and traceable radical Jesus that dominated the mindset of Ingersoll, Herron, and Debs, and was mostly independent of the influence of, say, the working-class, carpenter-Christ of George Lippard? I ask these questions without feeling like I have the historical acumen to answer them for myself quite yet. But I think they are worth considering. Burns has an obvious admiration for the subjects of his study. Their stories, he writes, "provide evidence that flawed and fallible individuals can learn, grow, and become more thoughtful and empathetic." And their discovery of the radical historical Jesus led them to "become more sympathetic and understanding beings capable of reaching out to and embracing different groups and people." The implication seems to be that liberal modernists and religious traditionalists were not quite as capable of such things. Burns also brings his historical subjects into a modern context, lamenting the disappearance of the radical historical Jesus from current public discourse. He dismisses the Jesus of the Jim Wallis-led contemporary evangelical left on the grounds that he is too moderate and too tolerant of religious traditionalists. And rationalists like Sam Harris come under fire for possessing an ideology that is closer to Lyman Abbot's imperialism than Robert Ingersoll's humanism. Instead of our current system of hard and fast lines between religion and reason, the sacred and the secular, Burns believes that the American radical religionists of 1870-1920 can point us toward a middle ground that recognizes both the "sordid and sublime" in religion, and allows for the power of imagination to bring religious life to a secular mindset. One is left wondering at the end of the book if Burns sees his project as a continuation of the project of his radical protagonists. Herron, White, and Debs imaginatively reconstructed the historical Jesus to provide inspiration for their own social projects. In some ways, this books reads as if Burns has imaginatively reconstructed the radical religionists to infuse life and inspiration into his vision of a radical middle path in our own day. But then, to what extent do all historians, particularly those of religion, imaginatively reconstruct history to advance their own ideals? Alas, that is a question that I assume I will be dealing with for the rest of my career, however long or short. As for Burns' book, I haven't even mentioned the attention that he provides to the labor movement and the Socialist Party, both of which make this book a work of labor and political history as much as it is a work of religious history. In fact, the blurbs on the back come from three people outside the field of American religious history: Charles Postel, Robert D. Johnston, and the Jesus Seminar's own John Dominic Crossan. It is a fascinating read throughout, in no small part because Burns is able to deftly navigate his way through multiple historical fields. I'd recommend it to religious historians interested in the Gilded Age and Progressive Era, the labor movement, the American radical tradition (if there is such a thing), or the increasingly blurry line (if there is such a thing) between secularism and religion. welcome aboard -- and we've got you slotted in the Pippen role. Nice to meet you, Paul; thanks so much for the wonderful introduction to this book! Thanks for the welcome, Mark! And thanks to Paul, Ed, and Heath for introducing and inviting me to be a part of the blog. I'm excited to be able to participate. I look forward to meeting you, Paul! My work is very close to Dave's, and I really appreciate his work too!